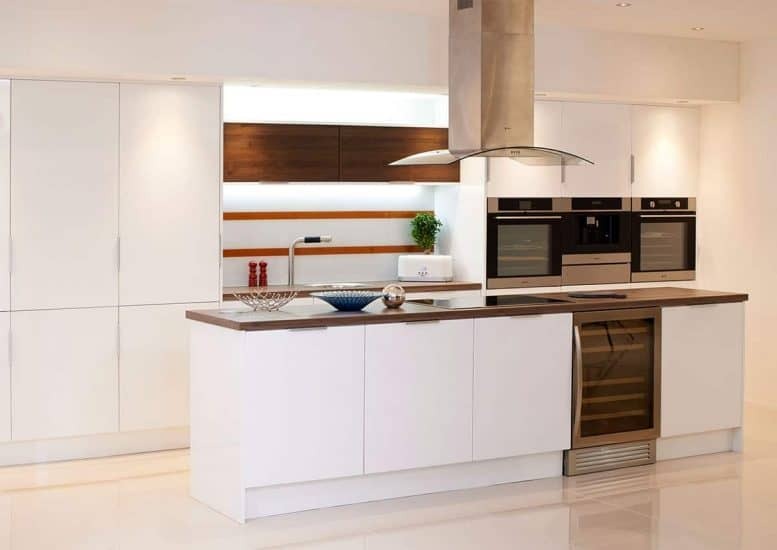 It might be named after a city in Italy, but this fitted kitchen is the ultimate in contemporary Scandinavian style, this glossy white kitchen combines elegant minimal lines with the ultimate storage solutions. This is design and sophistication at its brightest and whitest, with plenty of attention to all those small but important details. All of our kitchens are created with the same care and attention, we make sure that anything we create in our in house factory showroom is made to only the highest quality and have to go through vigorous checks before they’re sent out to be fitted in your homes. Did we mentioned that fitting comes included with many of our kitchens? All of our kitchens come with a 6 year guarantee, which means we have you covered for nearly anything! 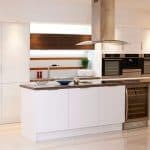 We have 40 years of experience in the fitted kitchen industry, and we hope that that will give you the peace of mind to trust us with the heart of your home.